An activist group known as the Electoral Justice Project (EJP) has launched a black voter registration effort at screenings of “Black Panther” nationwide. An offshoot of the Movement for Black Lives, EJP was founded by Kayla Reed, Jessica Byrd and Rukia Lumumba last October and aims to fight for and advance the rights of black Americans with the #WakandaTheVote campaign. 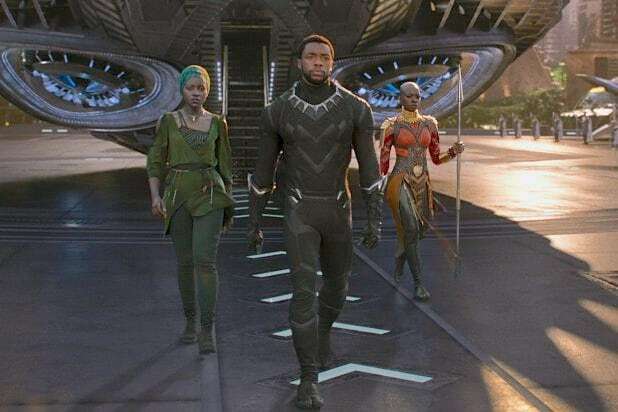 “We will be registering people to vote at movie theaters across the country so that we can #wakandathevote at the ballot box,” said one of the organizers in a story first reported by Blavity. 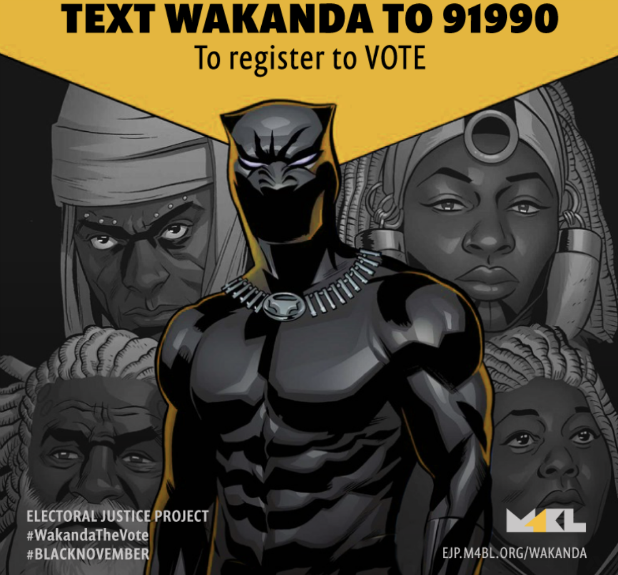 For more information, head to the Movement for Black Lives website, which says recruiters will be wearing “Wakanda inspired outfits” to help filmgoers register to vote. Released just five years after Ang Lee’s “Hulk,” this second attempt to make a leading man out of the big green Gamma-radiated creature proved to be similarly disappointing. If we’ve learned anything from the Avengers movies, it’s that Bruce Banner works best when he’s a supporting character (and when he’s played by Mark Ruffalo). While this movie deserves credit for not putting the fate of mankind on the line -- the stakes are more child’s-toy-train-sized -- the film’s stabs at humor seem overplayed, and little of Paul Rudd’s natural charm comes to the forefront of what should be a breezy caper. We can only wonder what Edgar Wright’s original version might have been like. Director Kenneth Branagh nails the thee-and-thou of the Asgard segments, but the small town where the climax plays out is one of the screen’s cheesiest fake cities since the terrible 1980s “Supergirl” movie. On the upside, actor Chris Hemsworth demonstrates a twinkly wit in this thunder god adventure, matched with impressive brawn. The best MCU movies do a good job of distracting you from all the setting-up of future franchise entries; this one offers so much empire-building that it might as well have a “Pardon Our Dust” sign on it. Still, the first appearance of Scarlett Johansson as the Black Widow, dispatching a hallway’s worth of opponents, made an unforgettable impression. Much as he did in “The Rocketeer,” director Joe Johnston excels at portraying the gloss of the 1940s, although the characters aren’t nearly as vivid as the USO bunting. But fear not, true believers -- Cap’s onscreen adventures got way better in his subsequent solo and team movies. Firmly average, yes, but an improvement on its predecessor and a straight-up good time, skillfully balancing superheroics, second bananas, entertaining villains and the occasional killer one-liner. By no means a cornerstone of the MCU, but this one, mostly, works. Director and co-writer Shane Black doesn’t always have the tightest grasp on the story -- what does the nefarious Extremis do again, and why? -- but he shows off his skill at witty banter (which Robert Downey, Jr. can perform within an inch of its life) and breathtaking action (a mid-air rescue of a dozen passengers who have just tumbled out of Air Force One). It’s always fun when the band gets back together, but it’s also difficult to recapture the magic of that first time. This sequel offers plenty of excitement and Joss Whedon-scripted badinage, but it’s also a little overstuffed with supporting characters and set-ups for the next round of MCU movies. Lovers and haters of superhero movies can both find bolsters for their arguments here. The band is back together, and they're as bristly hilarious as in their first outing, but overall this sequel feels like it's just vamping (entertainingly) until the next major plot shift in the MCU. Kurt Russell pops up as Ego the Living Planet, who claims to be the long-lost father of Peter Quill/Star-Lord (Chris Pratt), and while the movie is more concerned with character and emotion than plot, not all of the moving moments ring true. This sequel has a better sense of its own silliness than its predecessor, as Ant-Man (Paul Rudd) and The Wasp (Evangeline Lilly) run from the feds, battle the dimension-phasing Ghost (Hannah John-Kamen) and thwart the plans of a mobster (Walton Goggins), all while planning a rescue of The Wasp's mom (Michelle Pfeiffer) from another dimension. Feels more Disney -- in the Kurt-Russell-as-Dexter-Riley sense -- than Marvel, but still fun. The self-fulfillment and the 1990s retro are both played with a fairly heavy hand, but there's lots of fun to be had here, from Brie Larson's heroine, both ebullient and haunted -- nothing like amnesia to spice up yet another origin story -- to one of the greatest feline second bananas in cinema history. It's a little tough to judge this one on its own merits since it's so clearly half a movie; we won't really know how this film comes to fruition until we get the sequel. But in the meantime, it does a fairly impressive job of juggling some 25 major MCU characters and keeping its sense of humor even in the face of mass destruction (and intense scenes involving torture and genocide). Director Taika Waititi ("Hunt for the Wilderpeople") strikes a delicate balance between breathless action and fate-of-the-universe stakes on one hand and tongue-in-cheek silliness and snappy banter on the other. Luckily, he's got Chris Hemsworth, who excels at both, surrounded by the witty likes of Tom Hiddleston, Mark Ruffalo and franchise newbies Tessa Thompson, Jeff Goldblum and a gloriously over-the-top Cate Blanchett. The plotting and pacing aren't as tight as in "Winter Soldier," but if you're looking for dark human conflict and rousing superhero-on-superhero action, this movie does a whole lot right that "Batman v. Superman: Dawn of Justice" did wrong. It all starts here -- a superhero origin story for literalists who can’t get behind exploding planets or radioactive spiders. Jon Favreau, then most famous for directing "Elf" and writing and co-starring in "Swingers," seemed an odd choice for the material, but he knows how to give us both the characters (played by Downey and Gwyneth Paltrow with panache) and the ka-blam. It would be all too easy to make the spell-casting Master of the Mystic Arts look ridiculous on the big screen, but somehow director Scott Derrickson and his crew gave us a version of surgeon-turned-magician Dr. Stephen Strange (Benedict Cumberbatch), who seems at home in the real world, rubbing shoulders with the Avengers, and traversing trippy, eye-popping dimensions where none other could go. Breezy, flippant and soaking in the super hits of the ’70s, this comedy adventure is something of an outlier -- both tonally and geographically -- in the Marvel Universe. Still, whether or not Rocket Raccoon and Black Widow ever cross paths, this star-spanning saga was a reminder that there’s more than one way to tell a superhero story. Aggressive patriotism meets anti-government paranoia in this exciting tale that pits the Captain against labyrinthine conspiracies. It also turns out that Steve Rogers is way more interesting displaced in time in the 2000s than firmly at home in the 1940s. And you will believe The Falcon can fly. Still the gold standard of the MCU, this movie reveals that Joss Whedon gets comic books down to their DNA, in the same way that Steven Spielberg and George Lucas were fluent in the language of serials in the “Indiana Jones” movies. 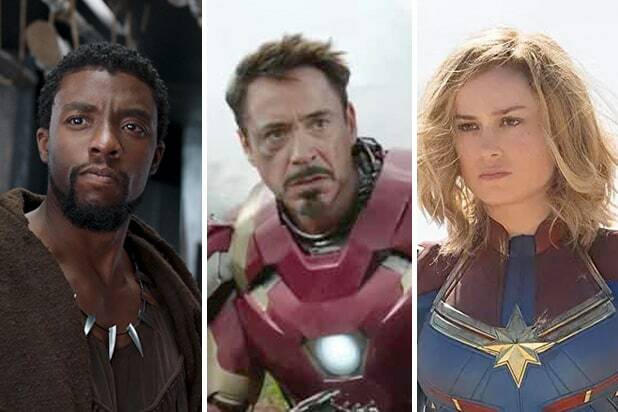 Putting all these heroes in one room (or helicarrier, anyway) yielded terrific results, even if the film’s success led to the all-superheroes-all-the-time ethos of contemporary Hollywood.